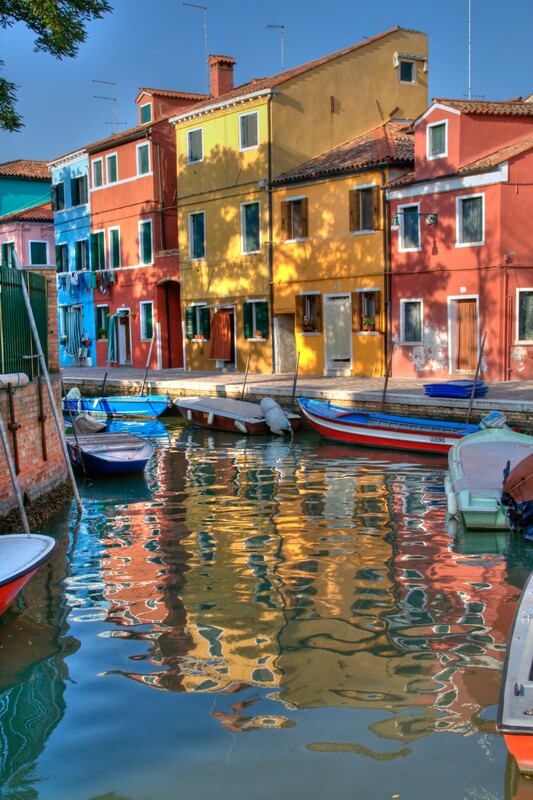 I took this photo this summer on the little island of Burano, near Venice, Italy. There, every house is paint with a flashy color. Only a HDR post processing allows to render the true look of the houses and their reflections on the canals.